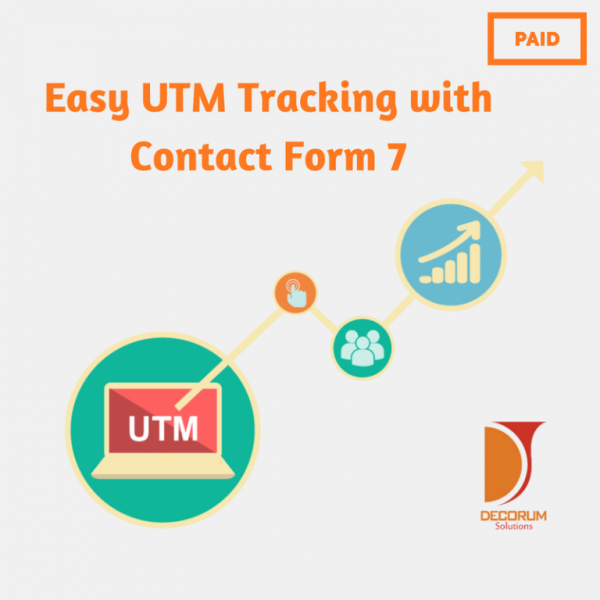 UTM tracking for cf7 pro version allows you to track utm parameters with support of contact form DB and other cf7 database plugins. Users landing on any page of the website can freely navigate throughout the website without having to keep parameters in the url of each page. UTM Tracking for CF7 Pro version allows you to track UTM parameters with support of contact form DB and other CF7 database plugins. Users browsing though website can freely navigate without having to keep parameters in the URL of each page. All the values are stored and automatically retrieved when a user submits any contact form 7. Download the plugin from processing free checkout. Disable “Easy UTM tracking with contact form 7 – Free version” or delete it. Extract “UTM Tracking for Contact Form 7 Pro” plugin files into /wp-content/plugins/ directory using ftp or by uploading directly the zip file from plugins page. Visit plugins page in your WordPress admin panel. Add the plugin code you received after purchase. Confiure the plugin by using the insutruction codes from the sidebar on “edit form” page.